Every year I say I’m not going to do a gift guide. I figure people already have a good idea of what they’re going to get BUT then I start to think about my holiday shopping and I come up blank. So then I wander off into never never land and start thinking about what I want. 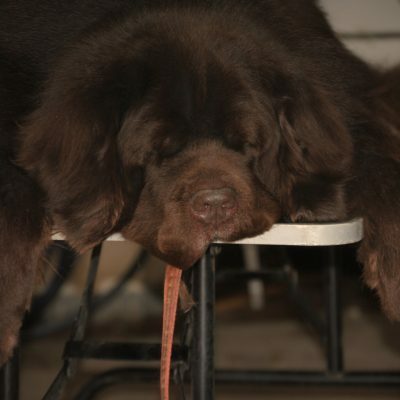 Well I want what every Newfoundland owner wants, ANYTHING NEWFIE! 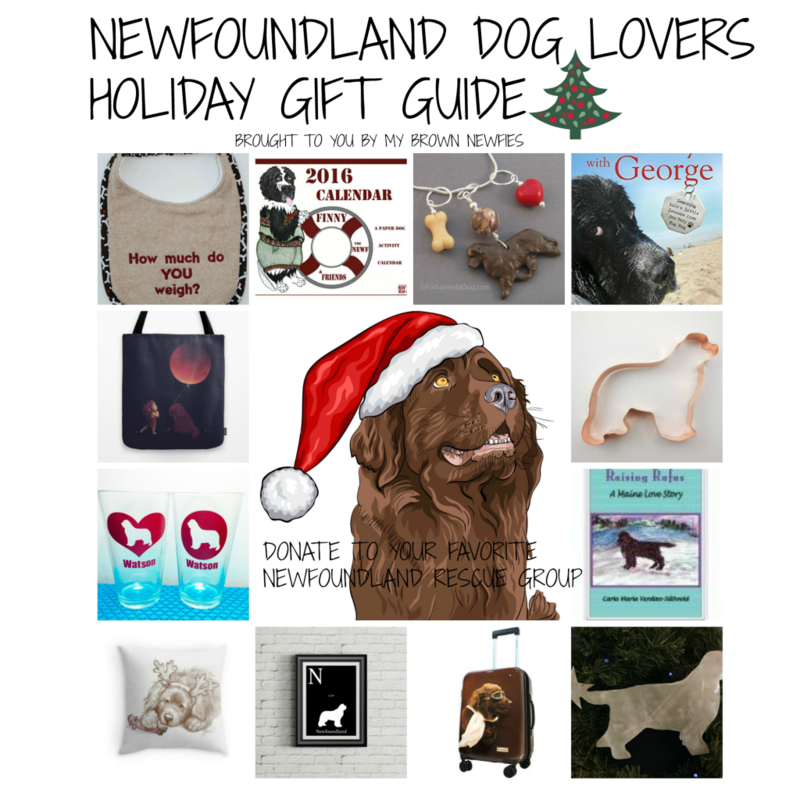 If you have any holiday shopping to do for someone who has Newfies in their heart here’s a great list of items that might be tops on their list. Note: We tried to stick with the something you want, something you need, something to wear and something to read theme. We also tried to stick with products made by Newfie owners themselves or dog lovers in general. N is for Newfoundland Art Print. Black and white dog silhouette combined with contemporary alphabet art for Newfoundland lovers! Who’s wall doesn’t need that? Found on Etsy. 2016 Finny the Newfoundland Calendar. A paper Newfie activity calendar! Finny comes to you in twelve months of paper DOG outfits, most months featuring two separate outfits, to combine with previous or wear alone. Accessories, like hats and mittens, boots scarves, etc. Comes with a Laminated Finny Doll and a paper stand that is easy to assemble. Oh. My. Newf. Every month I can dress her! Found on Etsy. Newfoundland dog breed cookie cutter. Make some cookies for a Newfie loving friend or perhaps some treats for your favorite Newf. Don’t feel like baking ~ these make great gifts too. Who wouldn’t love a Newfoundland cookie cutter from a friend! I have one but I tried to make him more robust and ruined him. Found on Etsy. Newfie beer glass. Really? Do I need to say more? Your beer does not want to be in other other glass. Trust me. Santa, are you listening to me? These are tops on my list. My Great Lakes Christmas Ale WANTS to be sipped from this. Please and thank you. Free Days With George. A heartwarming, true story about George, a rescue dog who helps his owner rediscover love and happiness. Marley & Me meets Tuesdays with Morrie and The Art of Racing in the Rain–get your tissues ready, animal lovers! Found on Amazon. Raising Rufus: A Maine Love Story by Carla Maria Verdino-Süllwold is a tender and tragic love story about an older couple, their Newfoundland dog, and their passion for the coast of Maine. Found on Amazon. Drool bibs. Who’s Newf doesn’t need a new stylish bib? I know Sherman certainly does and this one has his name written all over it. I think Sherman added this to his list for Santa but I’ll put it on mine just to be sure. Never ask a Newf his weight. Geesh. Found on Etsy. Rachael Hale hard sided carry-on luggage. It has a brown newfie on it. Need I say more? Come on. Who doesn’t want to be seen in the airport with this? You know what? Never mind. Only the cool kids can have this one. Found at Walmart. Brown Newfoundland Dog Charm Necklace. This Newfoundland dog necklace has a wonderful chocolate brown Newfie dog art sculpture as a pendant. The dog is handmade of hand cast resin in a hand sculpted mould, then carefully painted. Two dimensional (flat on back), true to AKC dog breed standards, highly detailed and absolutely beautiful. I have an ornament made by Sue and it is beautiful. She has items with black and landseers also but you need to hurry because Sue is closing up shop for good next year. Found on For Love of a Dog. Adorable Throw Pillow by Patricia Eubank. Santa’s Little Helper. It’s adorable and my couch wants it. Patricia Eubank is a talented author/illustrator. She has amazing illustrations and many include Newfoundlands. Found on RedBubble. A donation. 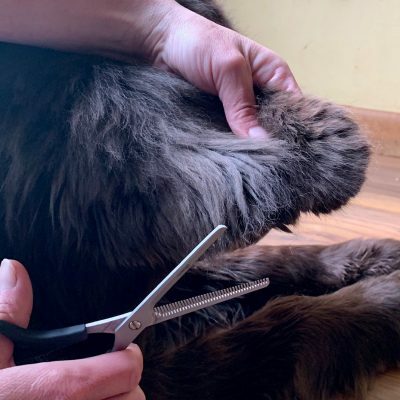 Maybe the Newfie lover in your life has all the newfiness that they can handle right now but you still want to do something special for them. 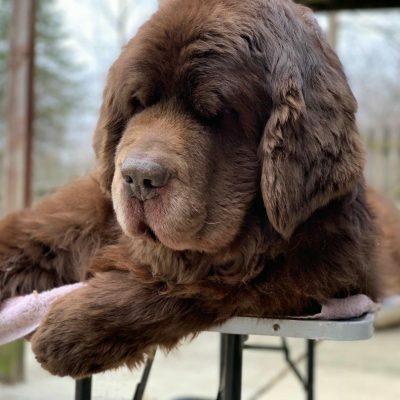 How about a small donation in their name to the Newfoundland Charitable Trust Foundation or Gentle Ben’s Giant Breed Rescue or any of the many Newfoundland dog rescue organizations. Have any other gifts that you think would be great for Newfoundland lovers? Tell us below and happy shopping! You’ve got just about everything listed Jan, except – what about another Newfie? Maybe a plastic suit so you can easily wipe of slobber that has landed on you? Nice list, but I’m with Cathy, maybe another Newfie! So CUTE and cool ideas! Totally want one of those cookie cutters! These are so cool. I love breed specific gifts. I need to find more Plott hounds!! How about a new puppy:) only kidding partially. After getting Aspen after losing Lexie 1 1/2 yrs. Ago. I went through all the normal puppy problems and fun. I pulled out my hair teaching some things he couldn’t do, but he was very loving and loved to be snuggled so much fun. Now he is 20 months and acting every day more like an adult and I already miss his puppy side. BOL, that bib is too cute 😉 The donation idea is a wonderful one, of course. I love the bib!! That’s too funny! That’s a pretty comprehensive list with lots of great ideas! Thanks so much for including our art print! We have seen a lot of traffic to our Etsy shop as a result! Happy holidays!